Has dog hair overrun your car? As someone with two large dogs that are heavy shedders, I know all too well that it can feel like a battle you can never win. Sometimes it feels like you just have to surrender to having a “dog car”. But having a dog car just plain stinks! For starters, if you’re going anywhere you can end up covered in dog hair even when your dogs aren’t with you. Recently, I’ve started a campaign to fight back against my “dog car” status to make it more clean and presentable. If these tips, tools, and tactics work for me, then I promise you they can work for any car. It’s not always fun, but these are the most efficient and time-saving ways I’ve found to remove dog hair from your car. For starters, your primary goal might be to protect your car from long term damage. How best you go about this may depend on a few factors like the size of your dog, how many you have, where they ride in the car, etc. If you have a medium to large sized dog, then you probably have it riding in the back seat. 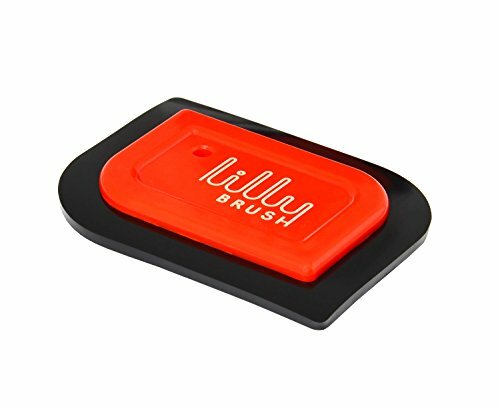 This is certainly best for the safety of your dog, you don’t want it in the passenger seat where an airbag can go off and hit it in the event of an accident. In the backseat with a harness attached to your seatbelt buckle is the best option! With that out of the way, you’re going to want to protect those rear seats, especially if you have leather interior. Even if you have cloth interior, you may be interested in protecting them to maintain your car’s resale value. The best option I have found, by far, is to use a dog car “hammock”. 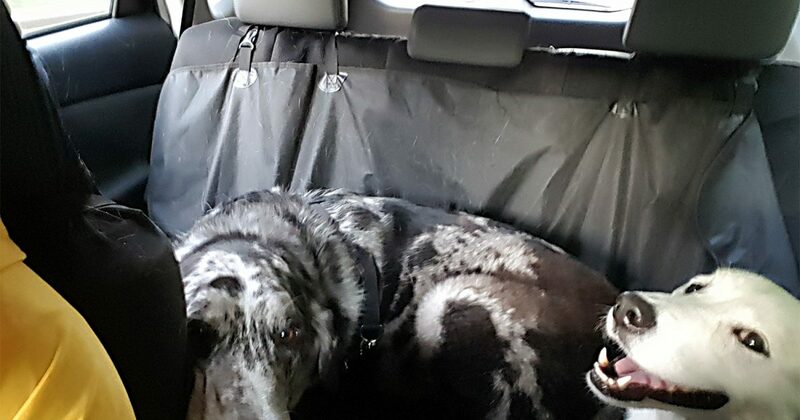 This nifty device loops over your headrests to form a hammock in the rear of your car which helps keep your dog in place and protect the interior of your vehicle. 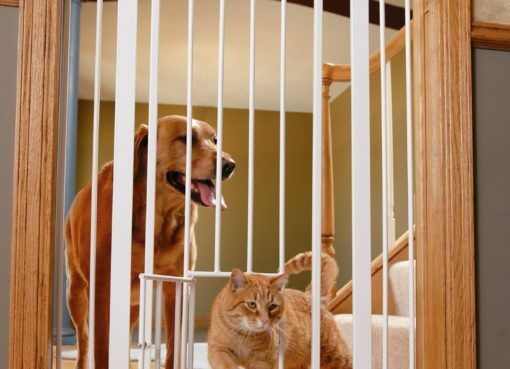 It also has the added benefit of preventing your dog from rummaging around under the seats and getting in to things they shouldn’t be. These hammocks can also be removed and washed as needed, and they feature slots that let you access the seat belt buckles through the hammock so you’re not sacrificing any safety features. 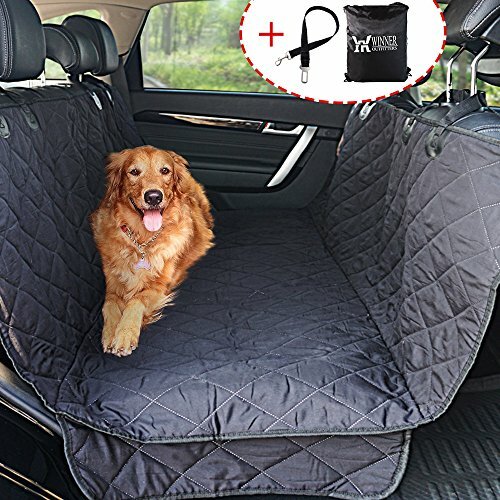 You may also want to look into getting seat covers in addition to the hammock, especially if you have a slobbery dog that might slobber on your front seats. First thing’s first – we need to vacuum out the loose hair floating around in the vehicle. In an ideal world you’ll do this step after every trip with your dog to stop any serious accumulation from happening. However if you’re like me, then your frequent trips with the dogs to the vet, dog parks, etc means there isn’t always time for this which is just fine. When it comes to vacuuming pet hair, I prefer the heavy-duty suction of a Shop Vac that I keep in my garage. These are usually much easier to maneuver around your vehicle than a traditional house vacuum, and you also don’t have to worry about abusing your regular vacuum’s filter as much which is nice. 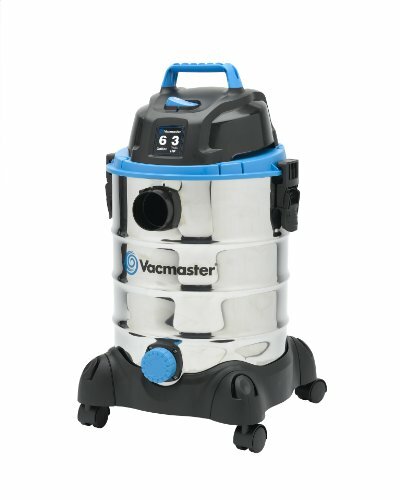 I prefer this Vacmaster because it has great suction power, it’s on wheels so it’s easy to move around the outside of my car, and it has a nice 7 foot hose which allows me to reach more places without repositioning the vacuum itself. It’s important to make sure you vacuum every nook and cranny. Be sure to use one of the thinner attachments to get areas like in between the seats. You’ll also want to make sure to get everything along the floor where any vents may be that blow air throughout your car. Mind you this was only with 30 seconds or less of wiping the area. It’s amazing how the Mini Detailer was able to not only clear out the dog hair, but the other dirt and debris nearly flawlessly! This carpet is the same type of material that likely lines the foot-areas of your car, so it would work great there as well. Amazing! In just a few rapid swipes, nearly all the pet hair was wiped away from the top section of the seat. If you’ve ever tried vacuuming cloth seats, you know how stubborn they can be. Another huge bonus with this product is it clumps all the dog hair together as you wipe, so you can easily pick up and toss the pile as you go along. It doesn’t send the dog hair airborne or flying elsewhere in your car. What’s even more impressive than the results is this tool is only $10 on Amazon! 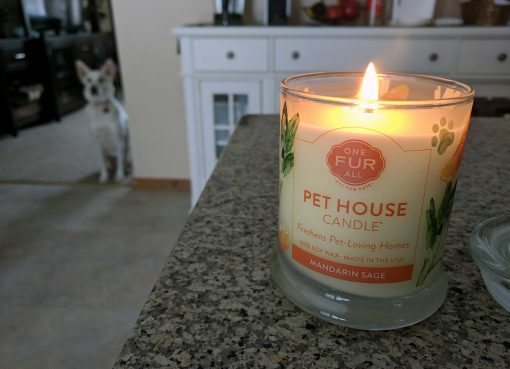 This is a must-have for me and I strongly recommend it to any dog owners out there. 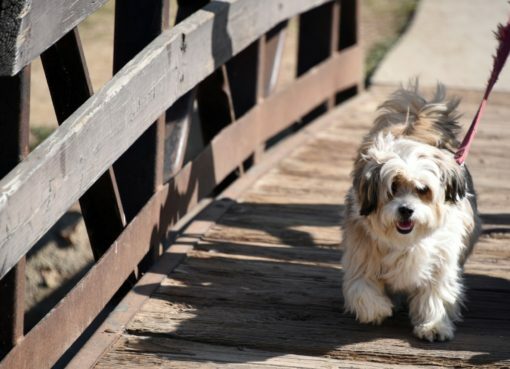 That’s all of my cleaning tips for removing dog hair from your car’s interior, we also have an awesome guide to taking road trips with your dog that you may find interesting.